For medical advice outside of our opening hours please call 111 or visit www.111.nhs.uk. Telephone lines open at 8:30am daily. Lines are closed between 12:30pm – 2:00pm, and then remain open until 6:30pm. After 6:30pm the Out of Hours Service should be contacted on 111 for any urgent medical issues. In the event of an emergency between the hours of 8:00am – 8:30pm, and between 12:30pm – 2:00pm, our reception team can be contacted on an emergency only telephone number, which is 07871 913834 - please note that routine matters cannot be dealt with by the reception team during those times. During the last Thursday of each month your practice is closed in the afternoon for Protected Learning Time. During this time the Out of Hours team are available for your medical needs, please call 111, or visit www.111.nhs.uk if required during this time. The Eric Moore Partnership Medical Practice offers evening opening until 8pm Monday to Friday, and Saturday opening from 9am to 1pm, with various surgeries & clinics available to improve access for patient's who cannot attend for appointments during normal working hours. Pre-bookable evening and weekend appointments with a local GP are available from 6pm-8pm Monday-Friday, 8am-4pm Saturdays and Sundays 10-2pm at Bath Street Health and Wellbeing Centre. Easily accessible, the Health and Wellbeing Centre is in the town centre and has links to public transport on the town’s main bus routes. 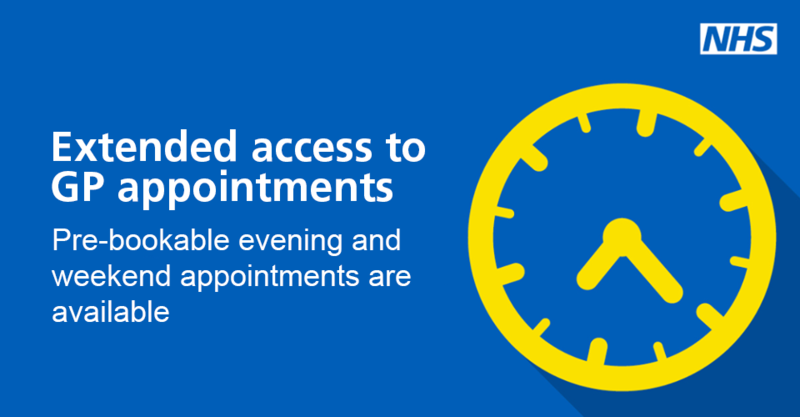 To access an out of hours’ appointment or to sign up for GP online access please call your own GP who will arrange the appointment for you. Please be aware that you will need to consent to share your medical record with the service. GP out of hours service The out of hours GP service is open Monday to Friday 6.30pm - 8.00am and weekends and public holidays 24 hours a day. The emergency GP out of hour’s service in Warrington provides urgent healthcare services for patients who feel their illness cannot wait until their GP surgery re-opens. To access, please call NHS 111.